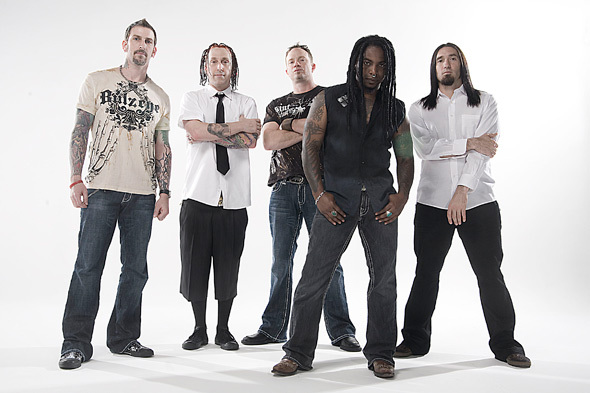 Tweet Sevendust just released its latest effort “Cold Day Memory,” landing at number 12 on the “Billboard Top 200.” That is the highest chart position in Sevendust’s career. Sevendust has also announced the band will be part of the “Carnival of Madness” tour featuring Shinedown, Chevelle, Puddle of Mudd and 10 Years. 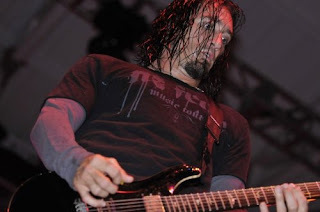 “Cold Day Memory” also marks the return of Clint Lowery to the band. I recently had the chance to talk to Clint about the new album, getting the original Sevendust line up back together, his thoughts on touring and what it was like to play with Korn after Head left. Q - I just wanted to start by saying I love your new album “Cold Day Memory.” Congratulations on the high chart position. Q - Being an established band with a large catalogue, what does it mean to have your most recent effort reach higher on the charts than all your other albums? A - It’s definitely good man. That’s always the goal, to keep moving up. Even though the actual sales were lower than some of the records we’ve had in the past, still it’s up from the last record we put out. It’s positive. In this day in age it’s hard to sell records and we’re still selling them and to get the highest chart position we’ve ever gotten is pretty awesome. It’s a great way to come out of the gate and now we just have to stay up there. Q - What was it like to record with the original line up again? A - It was good man. We have a lot of history so it was pretty easy, like getting back on a bike. We have amazing chemistry. It was good because I got a chance to step away from it so now I have a real appreciation for the band and the chemistry that we have, so it was awesome. Q - How was the writing and recording process different this time around? A - The writing process this time around, again I was gone for a few records, but they let me go crazy and let me write a lot of different things vocally and musically. It was cool. The writing process for us has always been the same, either John or I come in with a musical idea and the rest of us put it together in the rehearsal room, then we work on vocals after we get the music done. It was the same on this one. A - It changes like crazy. For us we came out a little before this shift in the industry. So we have a cult following of people that always support us. We always have that to lean on and weather the storm as far as the changes in music. Still it’s affecting us, so we have to get smarter with our marketing. We have to get real aggressive with our touring. We have to do a few things to adjust, but it’s a different day in age. The Internet is a huge thing; there are a lot of different sites and a lot of different avenues supporting new bands, so we try to use those. Q - Do you have a favorite song off the new album? A - It kind of changes from time to time. Right now I’m liking “Splinter,” the first song on the record because it’s got a lot of riffs and it’s technically challenging. Q - How many songs off of the new album will make it into your live sets this summer? A - We want to play all the new songs. We want to just go old school and promote our new album, like bands used to come out with a new album and they’d play a lot of songs off of it. After people absorb the album for a little while we’re really going to try and do that and make it happen. Q - Tell me about the “Carnival of Madness Tour.” How did that come to be? A - We’re on the same management as Shinedown. They had an idea for this tour, Brent from Shinedown, we’re really good friends of those guys, so they invited us to do it and it’s awesome. Q - You guys really made your name by constant touring. What are your thoughts on touring? 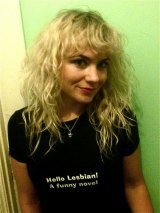 A - My thoughts are that it’s our livelihood; it’s how we promote ourselves, how we survive. We love playing for people and people are still coming to the shows. It’s a job, it’s like anyone else, we love our job. We enjoy it and we wouldn’t survive without touring, so we’ve accepted that and we do it. Q - Who is your biggest influence on guitar? A - Probably at this point Steve Vai. He had a really creative way of being technical and an advanced guitar player. He wasn’t just shredding to shred. He has a really cool style and I’ve always enjoyed it. Q - What other bands are you listening to right now? A - I listen to all kinds of stuff. I listen to Carnivore and Paper Tongues. I’ve been listening to a lot of old Meshuggah, and listening to a lot of Evan Rose. Q - Along with Sevendust, I was a big Korn fan as a kid. You got a chance to be Korn’s touring guitarist when Head left. What was that like? A - It was cool. It was like a business, I just went out there to help them out. I didn’t really know them that well. It was cool; I was a big Korn fan too. It was awesome to play their songs with them and get to know them a little bit. It wasn’t like family though, it was more like a job, getting up and playing Korn songs, but it was cool. The guys were cool; I got along with Fieldy a lot. I rode on his bus and he was really cool to me. Q - What has been your favorite career moment as a member of Sevendust? A - Probably playing Woodstock or going over to Afghanistan and Iraq to play for the troops was pretty awesome. We played a couple shows here in the states at festivals that have always been good. Woodstock and then going over to Iraq and Afghanistan was pretty crazy. Q - Thanks, well that is all I had. Is there anything you wanted to add? A - We just want to thank everyone for getting into the record; we’re grateful for the response and we look forward to seeing everyone on tour.